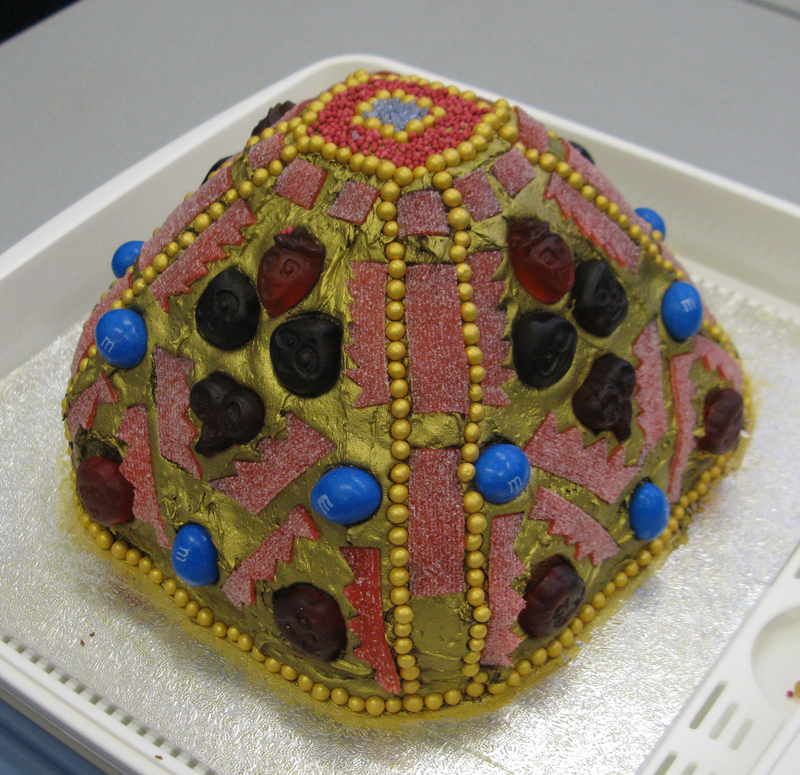 I thought you might be inter-ested to see this edible replica of K377, a pyramid mount from the Staffordshire Hoard. The cake was made by Alex Cantrill to celebrate the birthday of the hoard’s Conservation Manager, Pieta Greaves — and yes, it did taste as good as it looked! All of us at Birmingham Museum and Art Gallery are looking forward to more replicas being made shortly. This edition of edible archaeology appeared in issue 287 of Current Archaeology.